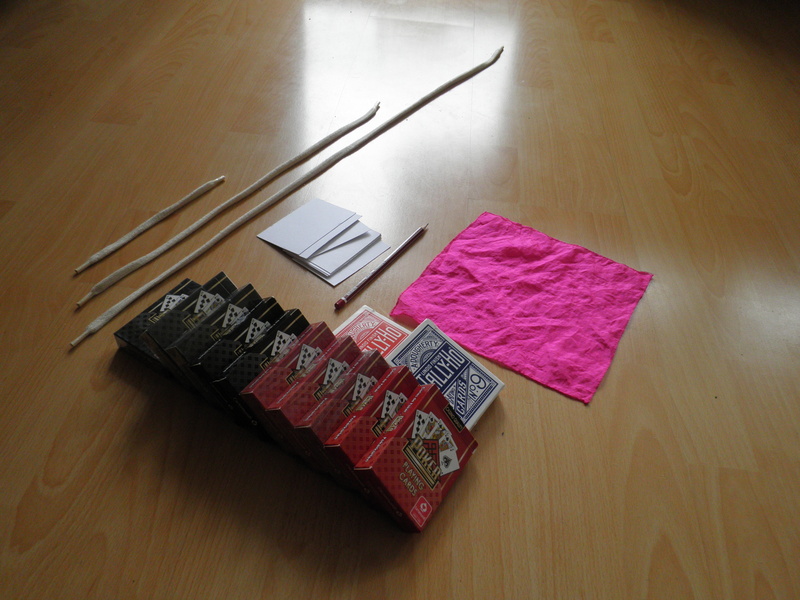 So, in a few days I want to try doing some street magic. Not the Blaine’s hit-and-run style. The old school busking style. If you are reading my blog, you probably already know that much, but I thought some introduction was due. Right now I’m visiting at my parents’ home in Gdynia. The day after tomorrow I want to go to the town of Kołobrzeg. The day after that I will hit the street, weather permitting. The art of busking, especially in regard to magic, is often summarized with ‘Make them stop, make them stay, make them pay’. Being talented in some art, e.g. juggling, dancing, magic, is not enough. A successful busker knows how to attract attention of a crowd, how to keep that attention, how to use it to attract even more people, and finally, how to convince them to part with their money. All of those require a lot of knowledge and experience. There are books being written on all those subject and more. There are lectures and classes being given worldwide. The quality of tricks does not really matter. There are people who make their living showing bad tricks, but are entertaining when doing that. There are also some great magicians who wouldn’t have much success on the street. I felt a bit overwhelmed by all that. So here is my plan: For now, I simply want to gain confidence in my tricks when performing for small groups of people (i.e. 5-15 people). So I will just go there and keep doing a simple trick until it attracts someone’s attention. Then I will proceed with the other tricks until they have seen the whole (10-12 min.) set or got bored and left. I don’t care about making money (although there will be a hat lying on the ground) or managing the crowd. Those things will come later along the way. Hopefully it won’t take too long before I can start focusing on those. This entry was posted on Tuesday, July 2nd, 2013 at 9:43 pm	and tagged with busking, illusion, street magic and posted in Street magic. You can follow any responses to this entry through the RSS 2.0 feed.